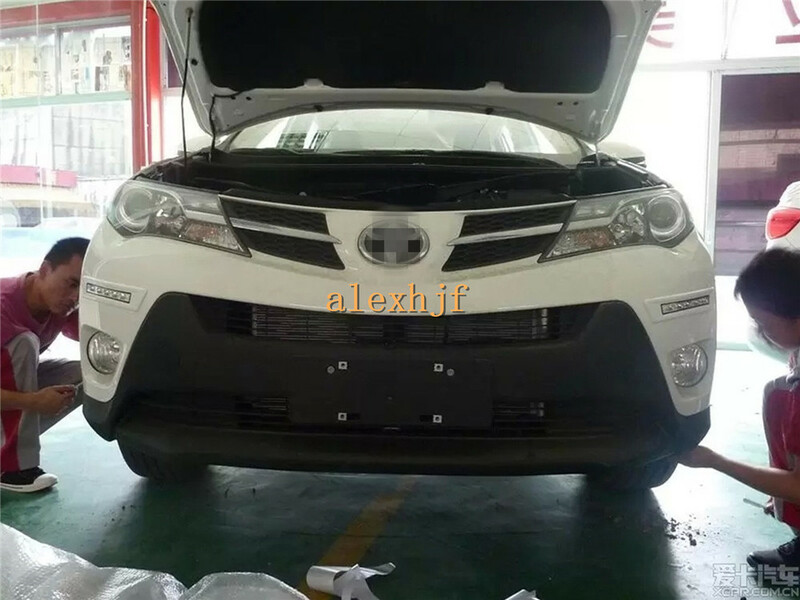 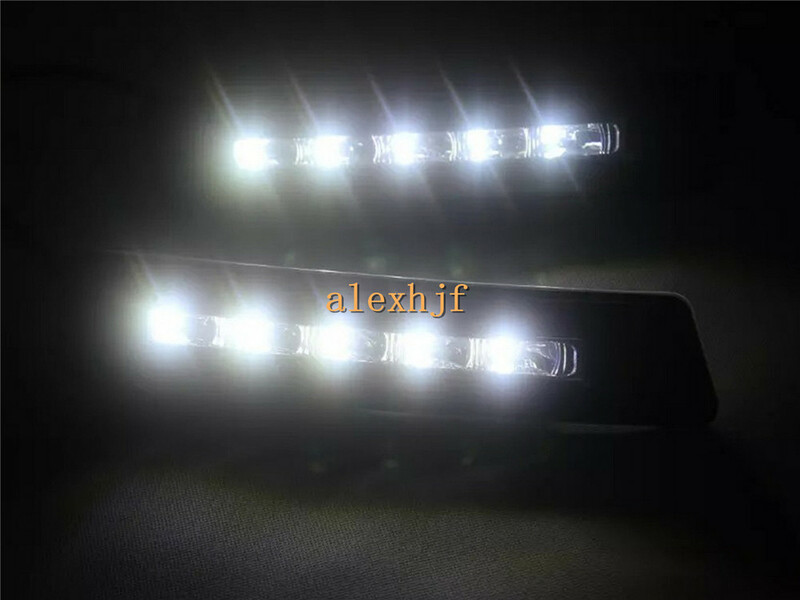 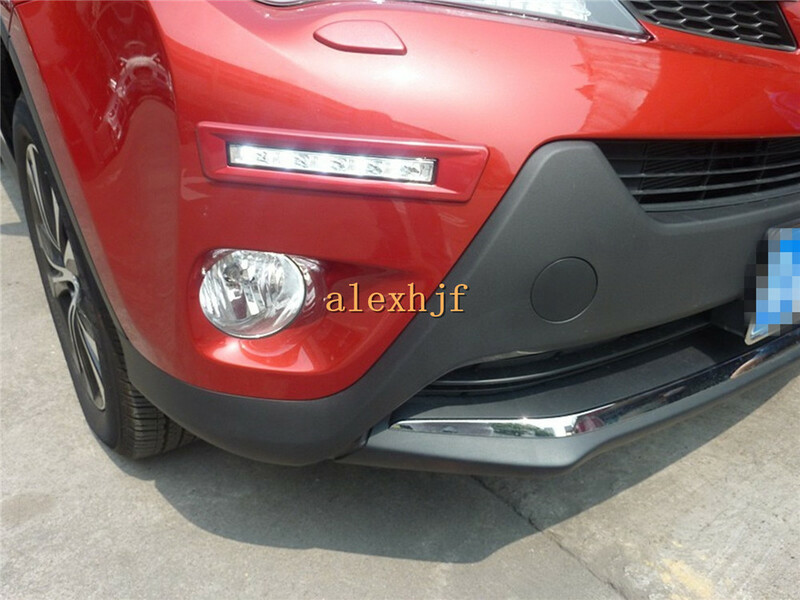 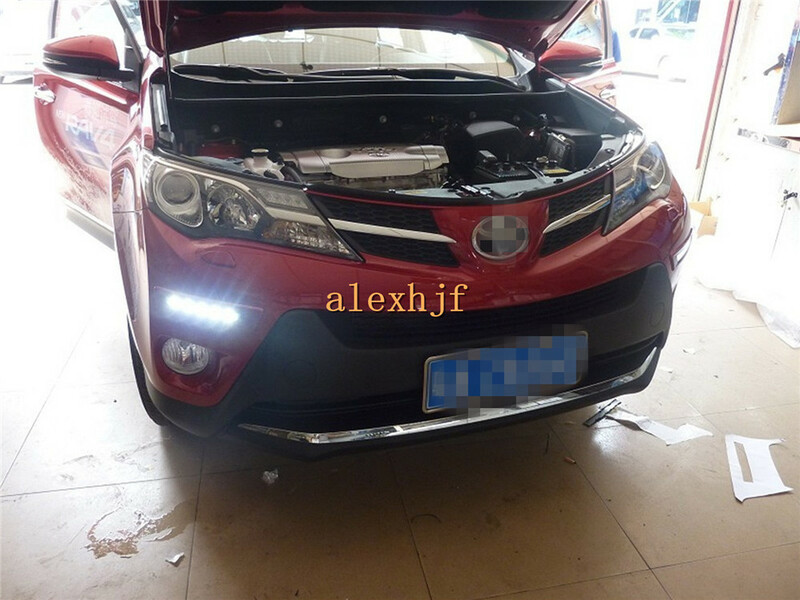 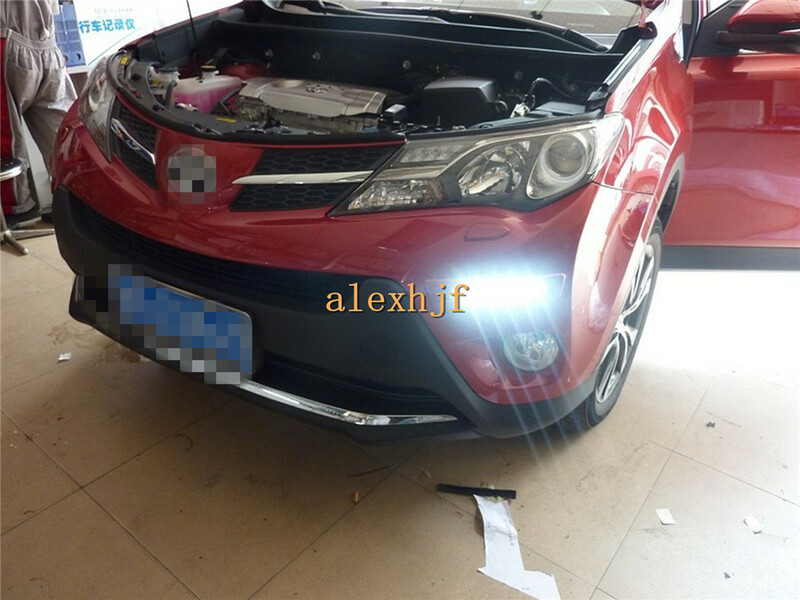 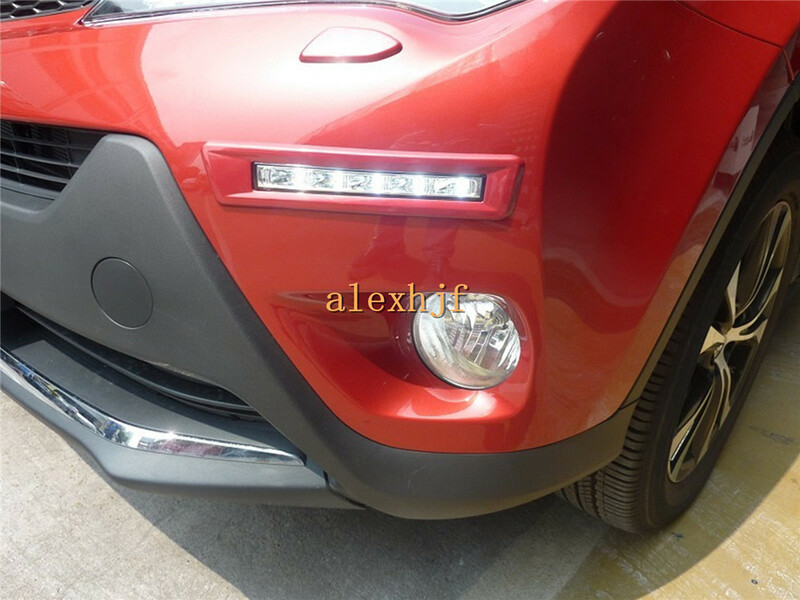 Super Bright LED daytime running lights DRL, LED front bumper fog lamp case for Toyota RAV4 2013~ON, Red / brown / silver / dark gray / white / black / orange, seven color frame can choose, free shipping! 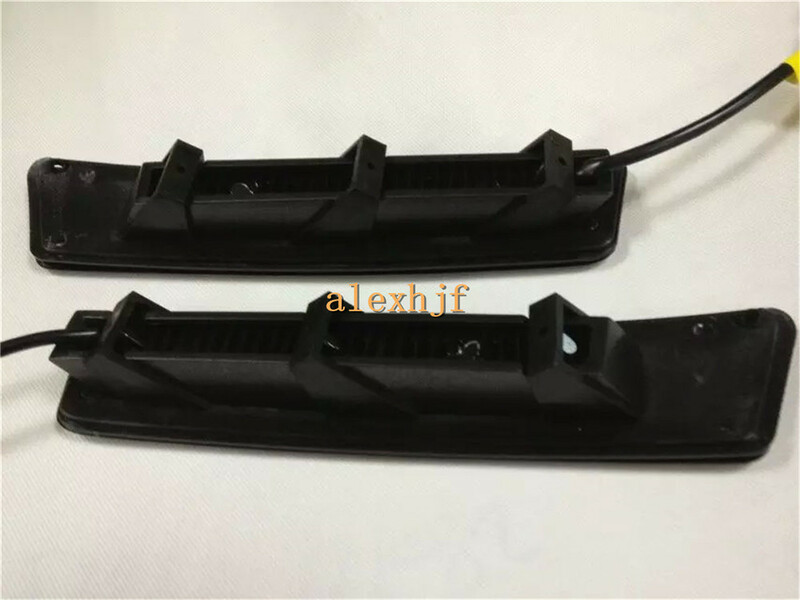 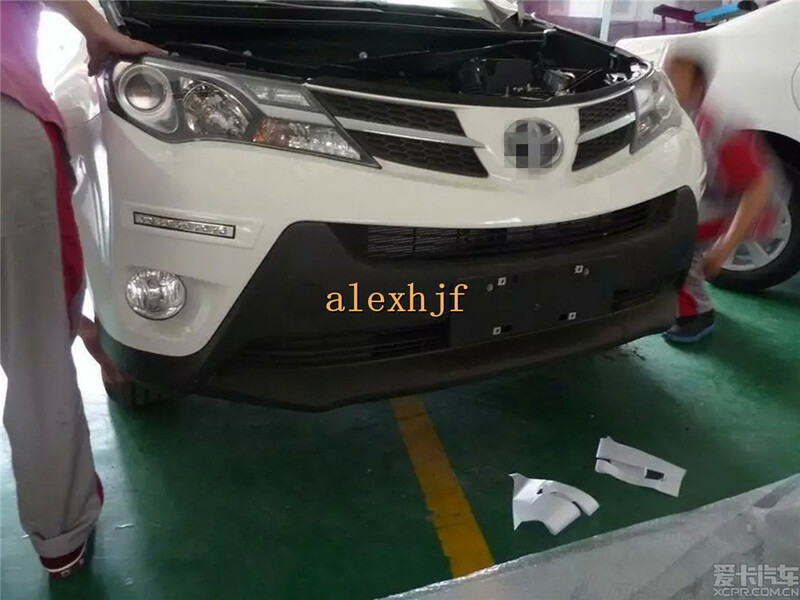 Pl check your car front bumper type same as car picture before your order . 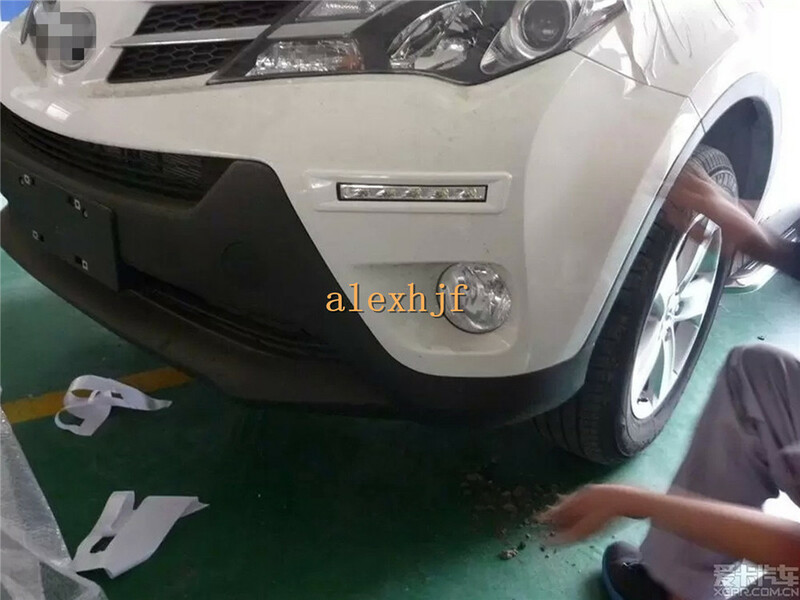 This model need modify your car front bumper, pl check! 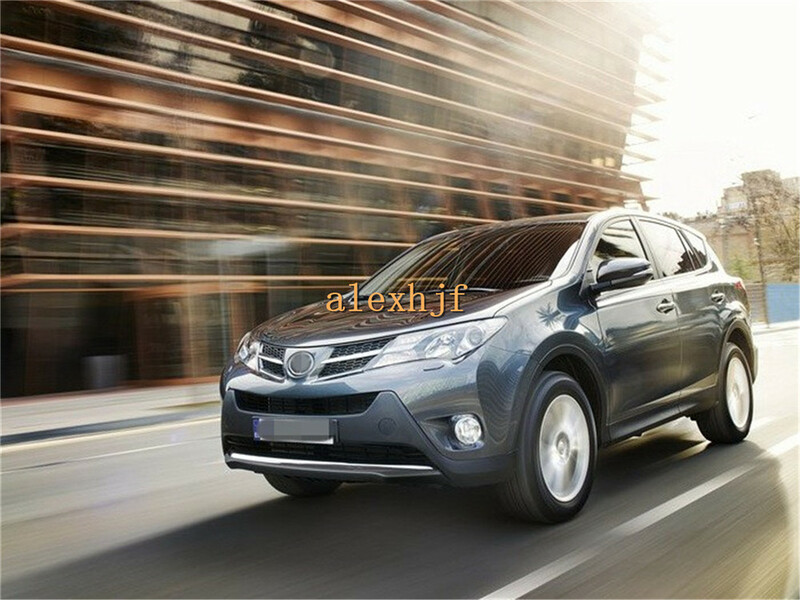 Products include apertures location map! 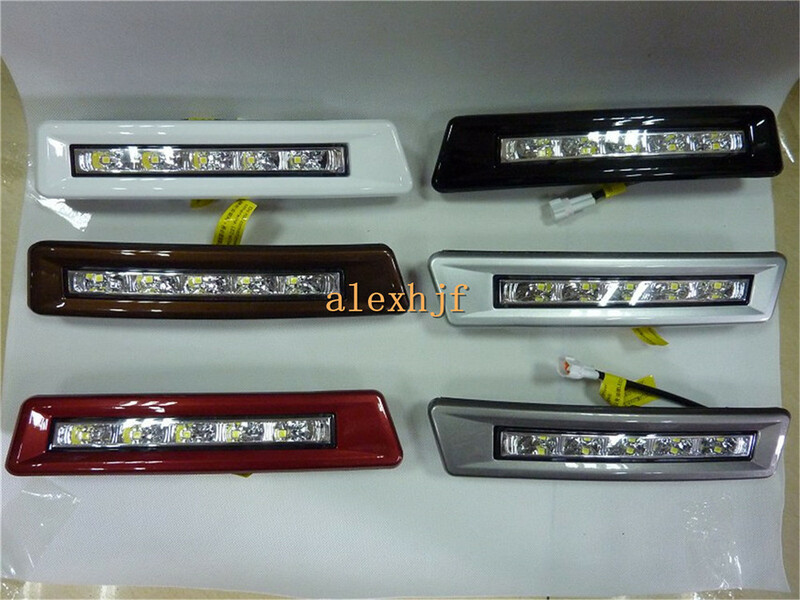 Pl give us message in the order which color frame you need, Red / brown / silver / dark gray / white / black / orange, seven color frame ! 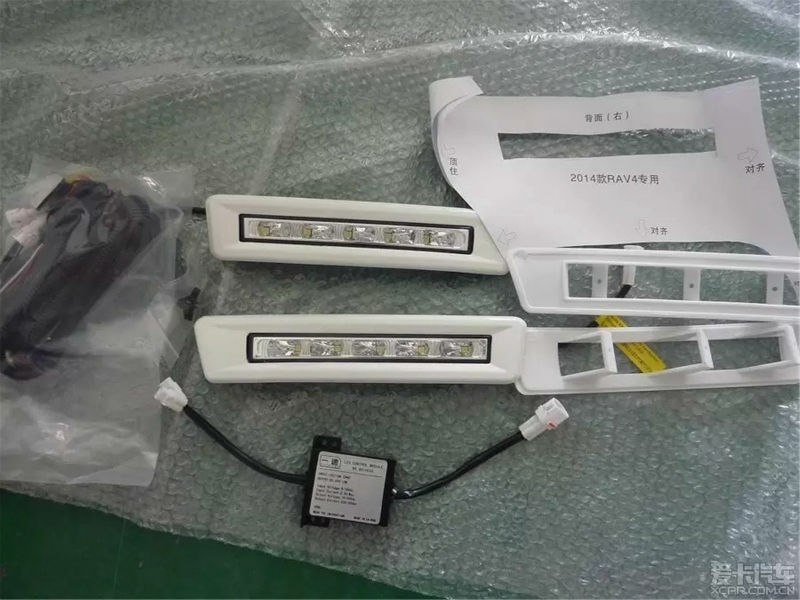 Control box and the port may be updated! 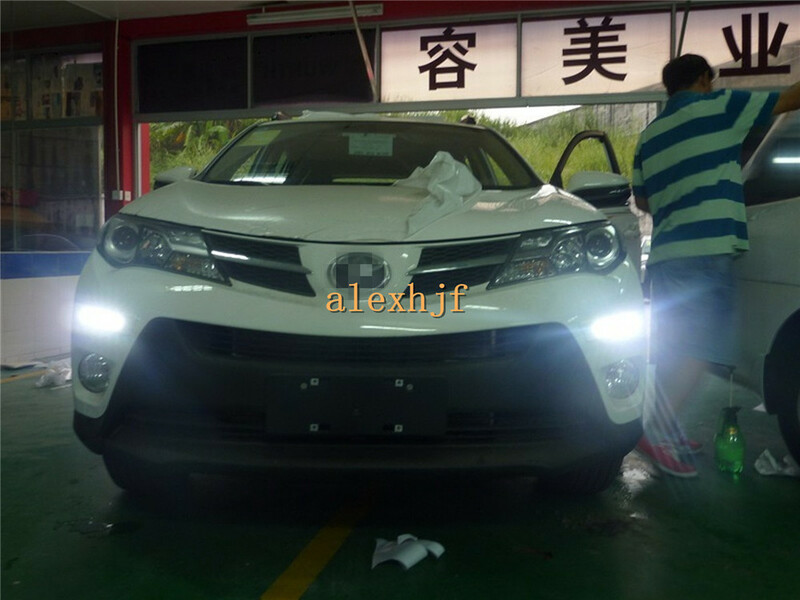 Waterproof type of measurement: After the rain simulation tests and immersionsimulation tests. 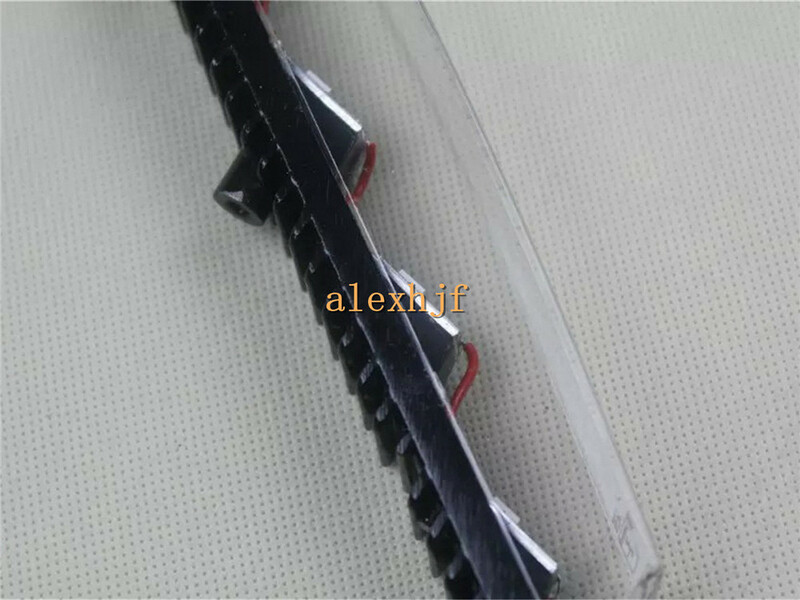 Salt spray test: passed the salt spray test. 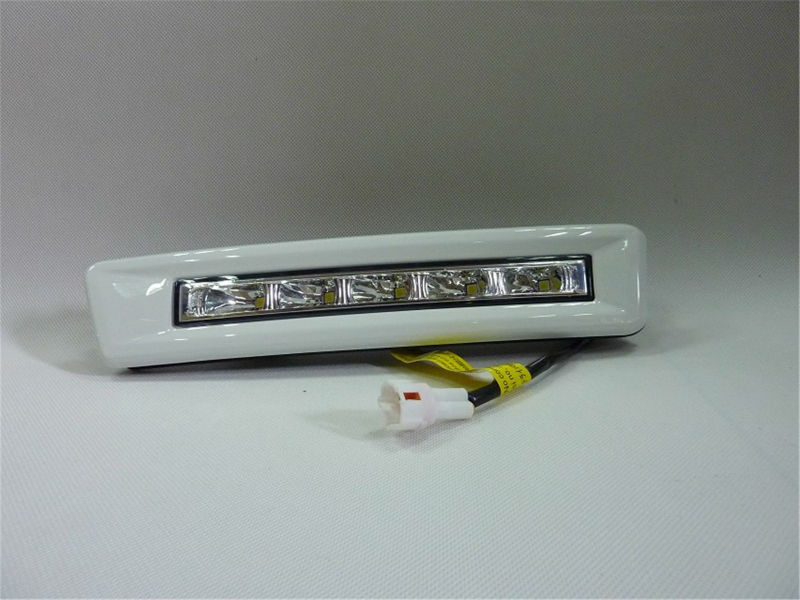 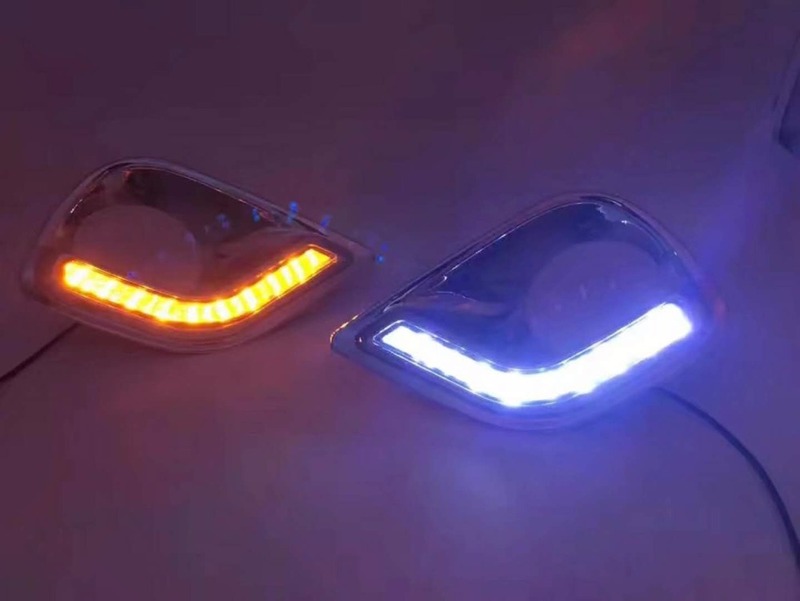 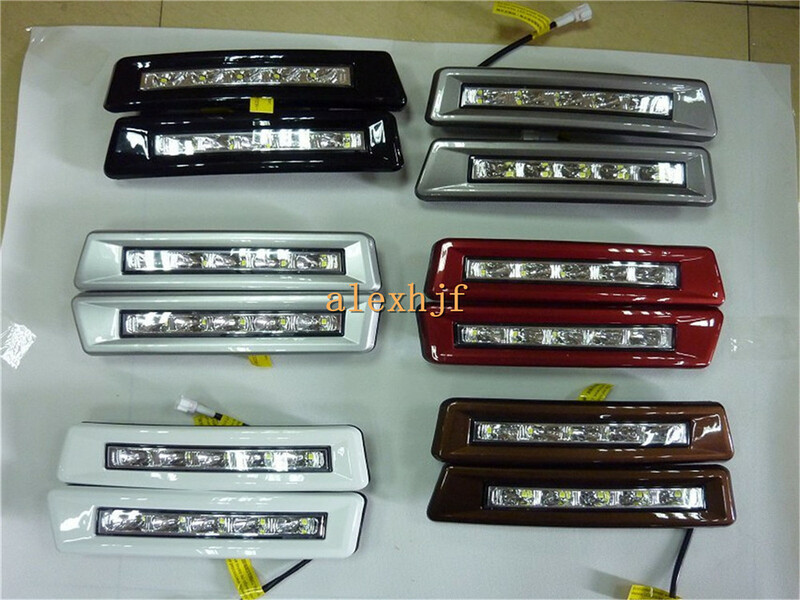 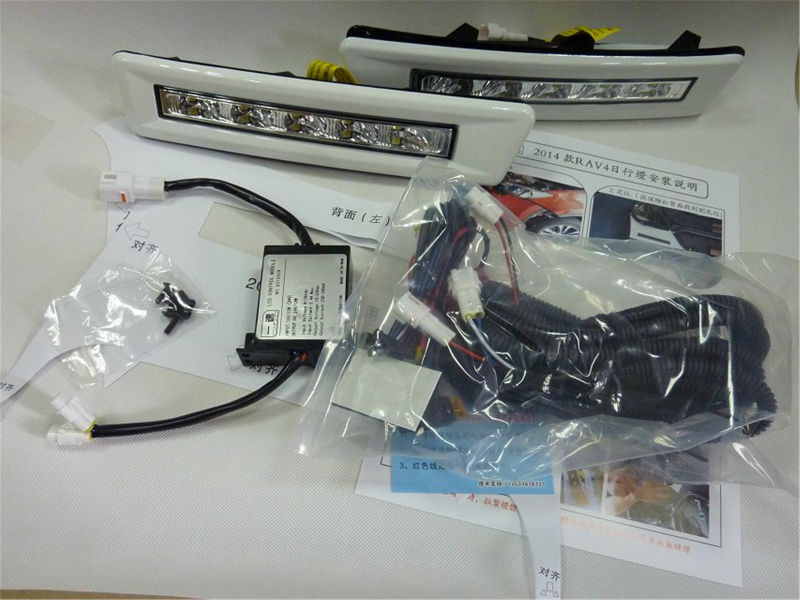 Ultra-high brightness of the lights,make your luxury car is more aristocratic momentum, so elegant but not domineeringcar more aggressive. 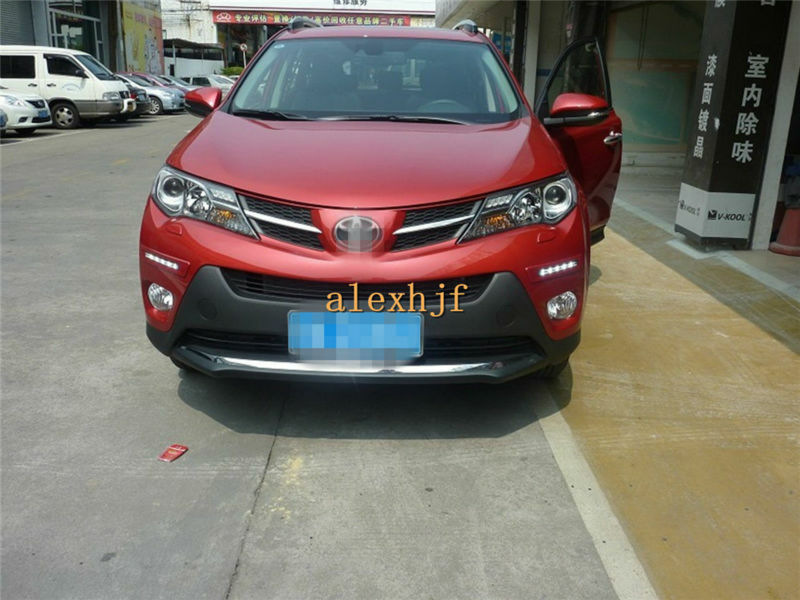 Multi-function multi-purpose auto-assist illuminator night attracted numerous envy of the night is open, reflecting the position of the body, to ensure that the intersection of the two-car safety, rain fog is open, with better penetration.